Looking for professionals to help you move to or from Fort Worth, Texas? You have found them! We are all the help you need. We are is a family owned business from Texas. Our company covers the territory of Central Texas, including the city of Fort Worth. Evolution Moving provides the best moving services Fort Worth has to offer at affordable prices. Leading moving company in Fort Worth, with all-inclusive services. Why do you need moving services Fort Worth? Moving without professional help is not only exhausting and overwhelming but also dangerous. There is a very slim chance that nothing will go wrong if you choose to do everything on your own. Worst case scenario – your most valuable items can be ruined and you can seriously hurt yourself. On the other hand, with our moving experts, you do not run the same risk. Even if something happens to your items, which is very unlikely, insurance will cover it. Having spent years in this business, our expert movers can give you the best advice. Also, they will make and carry out the relocation plan, from first to last. All you need to do is tell them what your needs are. Why move on your own and risk making numerous moving mistakes when you can have professionals take care of everything? We are definitely not your average movers. Although most moving companies offer similar services, it is the details that set the best movers apart from the rest. Multi-story homes and upper-level apartments can be a challenge. Thanks to our movers’ training and experience, such obstacles are basically part of the daily routine. Our team members have not only undergone extensive training but they are all college educated. Plus, they are always friendly and willing to meet your demands. Moreover, we handle our trucks with the utmost care, in order to minimize the movement of your goods during transportation. Additionally, movement is reduced to a minimum thanks to our efficient truck packing methods. We have the best movers, packers, and drivers anyone can wish for. When it comes to moving fees, we promise that you’ll get a great deal. The price of our moving services Fort Worth is balanced and reasonable because we know moving comes with a million expenses. Since we care about your budget, we offer competitive prices to go with top-notch moving services Fort Worth recommends. Here at Evolution Moving, we take pride in our services and treat your precious belongings with absolute respect. In the experienced hands of our moving staff, you’ll have the smoothest, most efficient move. Our staff will be at your service throughout the whole process. Local relocation. 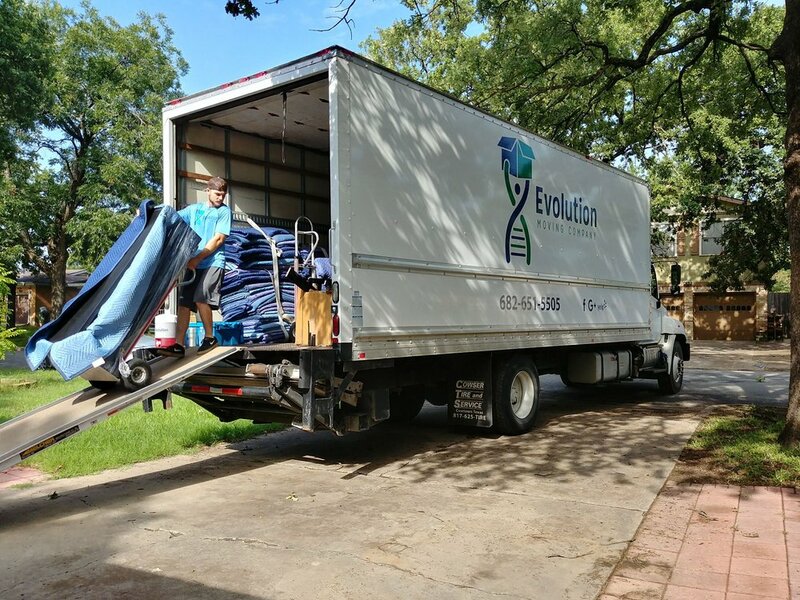 As we mentioned, Evolution is a moving company based in Texas that serves the city of Fort Worth and its surroundings. Why call a company from out of state when you can hire us? Your friendly neighbors are here to help. State-wide relocation. The Lone Star State is a big one and we have it covered. Whether you need your home or office relocated, we know how to do it. Storage solutions. If a storage unit is what you need, you can count on our secure storage solutions. Our company works with several storage facilities in the area. We will help you move in and out of the storage facility with ease. Packing services. No move goes without packing and unpacking. We can do it for you if you want us to. 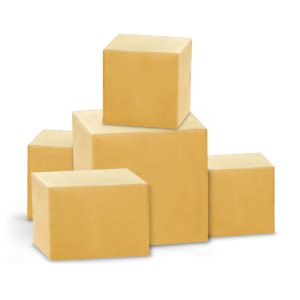 Packing is an important part of our moving services from Fort Worth on which the safety of your items depends. We do it with care and precision, thus eliminating the risk of breakage. 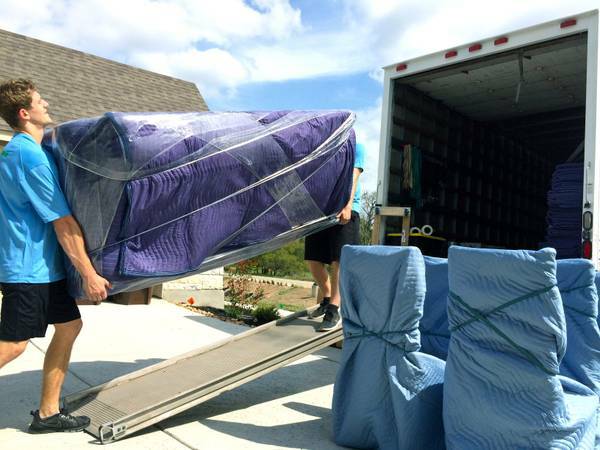 Packing is one of the moving services Fort Worth movers have prepared for you. Why move to Fort Worth, TX? The city of Fort Worth is a place people of all ages love to call home. No wonder it doesn’t stop growing! Fort Worth offers an overall excellent quality of life, which is why your family will love it. With affordable neighborhoods and various housing opportunities, you will easily find a home that fits all your needs. Grapevine, Fairmount, and Arlington Heights are some of the best neighborhoods to move to. In addition to desirable real estate, they have cool restaurants, pubs, art, and parks. Grapevine has preserved its calm, neighborly atmosphere, although it is home to over 45,000 people. Fairmount Historic District has one of the nation’s most remarkable collections of turn-of-the-century homes. Arlington is a safe, stable neighborhood with excellent schools, golf courses, lake access, plus, it is close to the Cultural District. 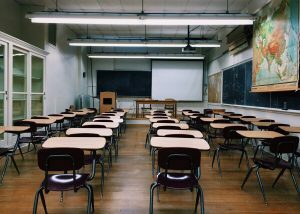 This city has a world-class school system, which means excellent education for your children. As you probably know, Texas is an economic powerhouse. Fort Worth’s better than average job market attracts top talent searching for new career opportunities. The city has a central location, diverse industries, skilled workforce, and strong transportation infrastructure. Consequently, it attracts more and more companies, which is why unemployment is consistently low. Long story short, you should definitely consider a career in this city. Fort Worth Independent School District. How fun is Fort Worth? Let’s just say that Fort Worth is one of the premier travel destinations in the US. It boasts an enviable cultural scene, award-winning restaurants, as well as a vibrant downtown area. Speaking of downtown, the walkable city center provides a combination of work and play. We recommend dining and shopping in downtown’s Sundance Square. Attractions worth visiting also include the Fort Worth Zoo, the Fort Worth Botanical Gardens, and the historic Stockyards District, home to great restaurants, nightclubs, shops, rodeo and stock shows, and historical landmarks. Music lovers can visit several music venues and festivals to hear local as well as nationally known musicians. Those who prefer sports can enjoy professional and college sports events. Finest moving services Fort Worth has to provide. When it’s time for your move, Evolution Moving Company Fort Worth, Texas is here to help. Are you moving from your house or your busy office? Need to move one piece or that entire 3rd floor apartment? We are the movers for the job. Our “movologists” can handle any challenge and any move. 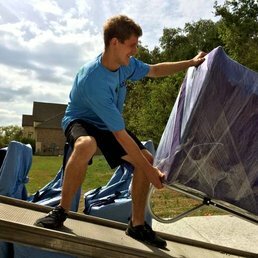 We utilize cutting-edge techniques and an evolved approach to moving services Fort Worth, that ensures the safety of your belongings. Give us a call today to find out why we are not your average local movers Texas! Evolution is here to proudly serve Fort Worth, Dallas and other surrounding areas. No job is too big or too small. We have the skills and knowledge to move that mega-mansion of your dreams or that cute little college apartment. From 10 rooms to a single item, from disassembly and protection to reassembly and arrangement, let our professional movers take all the hassle out of your move.Is your office relocating? Our professional will take the stress out of making sure it all gets there and set up quickly to get you back up and running. Let’s face it, moving is tough. So before you let yourself become buried in boxes, call the professionals at Evolution Moving Company FW to handle packing your place. You can sit back and put your feet in the air while watching our movers Fort Worth safely pack and prep your belongings for your move. Our professionals know the right materials to use when packing your valuables and we do what it takes to make sure it arrives just the way we found it when we started! Need Storage? Taking an extended vacation? Whatever the reason, let Evolution Moving Company FW help you get from A to B when it comes to safe storage, we work with several area storage facilities and can assist you with that move in and out of storage. We’ll bring the techniques and the muscle to get your job done efficiently. We are proud Texan movers Fort Worth that are happy to serve all of Texas. There is nothing more daunting than the size of Texas. So whether it’s From New Braunfels to Houston or Fort Worth to Austin, let Evolution Moving Company FW take care of the heavy lifting and hauling to make your Texas-sized move a breeze.